You are at:Home»Florida Residents – Disney World Tickets and Annual Passes – What you need to know. 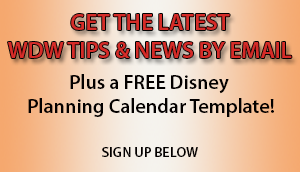 Florida Residents – Disney World Tickets and Annual Passes – What you need to know. 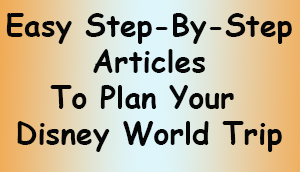 First, to read all about the different types of tickets that Disney sells, how they’re used and which to choose, check out this article: Tickets at Disney World: How to Pick the Right Ones for You! You can also view Disney’s website to see their discounted ticket options for Florida residents here. Keep in mind that you’ll have to show identification that confirms that you’re currently a Florida resident. This can be a valid Florida driver’s license, state or military ID. If you do not have one of these forms of ID you can also use proof of mortgage, utility bills, car registration or car/home insurance, mail from banks or government agencies. The ID used must show a Florida address (no P.O. Boxes) and must be less than 2 months old. The Walt Disney World website provides exact information on what can and cannot be accepted, so it is advisable to double check prior to attending the parks. Disney World tickets are available for single days, as well as for 3 and 4 days (with and without Hopper and Hopper Plus). The prices should be less than the non-Florida resident pricing. Blackout Dates for Tickets: You’ll want to be aware of blackout dates. For the 3 and 4 day tickets, there are black out days when they are not available. Also you have to select the week during which you wish to use the tickets, and they can only be used in this week. For this reason, you need to know your dates of travel when you book, to ensure you book tickets for the correct dates. Some of the cheaper resident’s annual passes are subject to ‘black out days’ which are days that the pass is not valid – for example Christmas & New Years (see below) – so if you are looking to purchase one of the cheaper passes, ensure you are aware of the blackout days beforehand. As with tickets, Annual Passes are less expensive for Florida residents. Also as with tickets, you are required to show proof of Florida residency when purchasing. Disney offers a variety of options for Florida Residents that are not available to the rest of the world. They differ by dates they can be used and perks. The less expensive Annual Passes offer tickets with more limitations and blackout days. These are perfect for residents who wish to visit often but are not restricted to longer, one off trips or peak times of the year. All passes, except those for the Water parks and the “Epcot After 4” passes, include the Hopper option. You can view the Annual Pass offers on Disney World’s site here. You can also see the blackout dates on the passes that have them by going to the correct pass and clicking on “View Blackout Dates”. If you’re not sure if you should buy annual passes, check out this article called Why an Annual Pass Can Save You Money (Even on one trip)! The most expensive of the Florida Resident Annual Passes offers the least number of black out days (Christmas/New Year and a couple weeks during April’s Spring Break). You can see blackout dates here by going to the type of Annual Pass you’re interested in and clicking on its blackout dates. Admission to all 4 parks, most times of the year. Visit all 4 theme parks on the same day (Hopper). Free Standard theme park parking. Discounts on dining, merchandise and Annual Passholder room deals. This pass is about currently 20% cheaper than the Gold pass, but the black out days are greater, with most of summer blacked out in addition to the black out days of the Gold Annual Pass. Admission to all 4 parks during certain times of the year. A Select pass increases the black out days to include Run Disney events, the Food & Wine Festival and Magic Kingdom on Saturdays. Also, blackout dates vary by theme park. For the same options as Theme Park Select Passes, but blacked out on all weekends as well, there is also a Weekday Select pass. Admission to all 4 parks during certain times of the year (excludes all weekends). As it suggests in the name, this pass allows access to Epcot after 4 pm. This is great for locals who enjoy visiting Epcot for dining, drinks and fun. There’s even sometimes a local single’s presence in some locations like the Rose & Crown Pub in the U.K. Pavilion. Admission to Epcot for a year, any day after 4 PM. Invitations to Epcot events and Festivals. This annual pass offers access to both water parks (Typhoon Lagoon and Blizzard Beach) throughout the year. It is worth bearing in mind that for the 6 months of the winter, only one water park will be open at a time, as they both undergo a 3 month refurbishment program every year (during normal operating hours). Florida Residents can have access to the water parks after 2 pm every day (during normal operating hours).